The bill-only implant medical device process is complex. 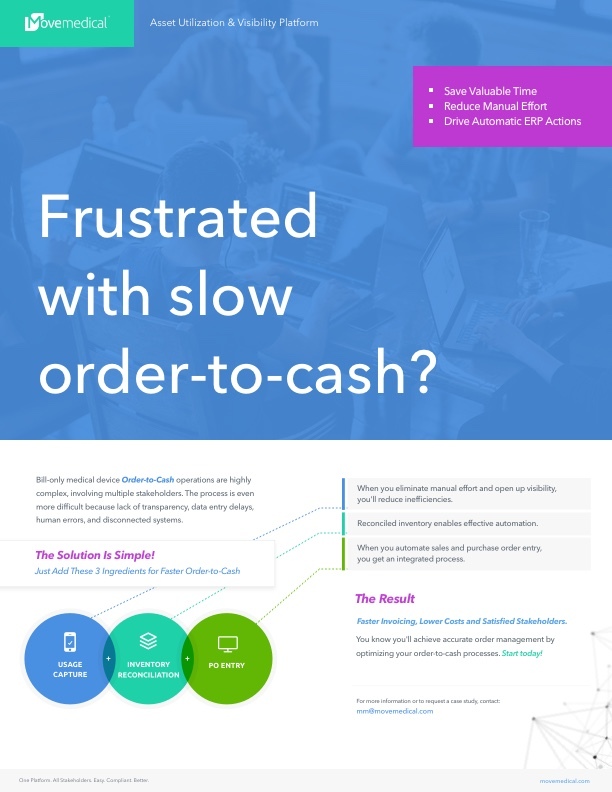 Fast and accurate order to cash processes are now being realized when medical device companies utilize the field inventory and billing solution provided by Movemedical. Increase Insights. Reduce Busywork. Gain Marketshare. The Movemedical Field Inventory Solution you must see to believe.